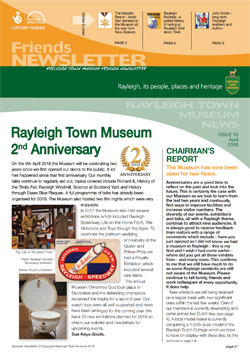 What is the purpose of the Rayleigh Town Museum Friends Group? What advantages and privileges do members of the Friends receive? Preferential fees for the private hire of the Museum. Telephone: 01268 773535, Answerphone when we are closed. or download the application form from the link above. Click on the link below to email Peter. 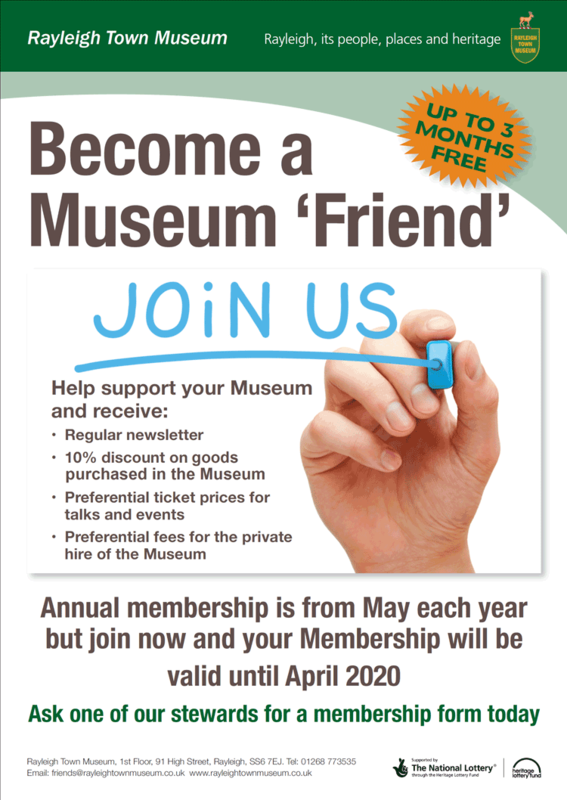 Friends Membership renewal date is 1st May 2019. Renewal form, here is one to download from the link below. The Friends receive a regular newsletter.